Hoard 'n' Plunder társasjáték - Magyarország társasjáték keresője! A társasjáték érték! A Hoard 'n' Plunder egy kiváló társasjáték, 2 - 6 játékos részére, az átlagos játékidő rövid, csak 15 perc. A társast, 10 éves kortól ajánljuk kipróbálni. A játékmenet erősen épít a pakli tervezés mechanizmusra. 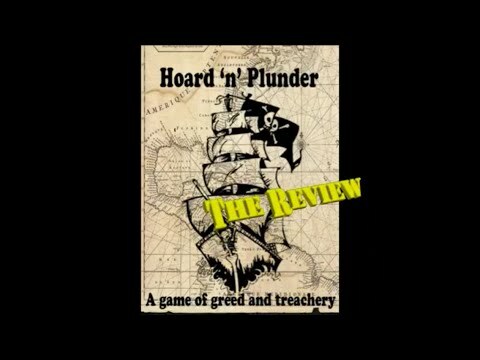 Take on the role of a pirate in this fun game of greed and revenge attempt to build your treasure hoard as the other players attempt to pilfer your coffers but they better watch out because you are all pirates and two can play at that game. This is a good game for those that enjoy intense strategy but it is also simple and easy to learn so it is accessible for both children and advanced adult players alike. Above all it is fun there will be a lot of trash talking and grudges but no one will feel victimized for long because in this game its never long before the victim becomes predator and vice versa. when you play a red plunder card you place it in the discard pile and declare who you are stealing treasure from. Then you can take the number of treasure cards indicated on the card 1,2,3, or 5 from the player and place it in your hoard unless they play a green defense card. If a player has less treasure than you would take with your red plunder card you can still play that card and just take what treasure they do have. when another player tries to steal treasure from your hoard with a red card you can play one of the green cards into the discard pile to defend yourself. You can play the dodge card to avoid having to give up any treasure. You can play the block card which requires you to give half the treasure owed rounded down. So if they played a cutlass that steals 1 you give nothing and if they were to play a blunderbuss which steals 3 you would give the one. You can also play the bribe card which causes you to discard a card in addition to the bribe card to avoid having to give up any treasure. If you do not have a card to discard you cannot play a bribe card. a red plunder card against you and does not count as your turn. with the exception of the special treasure chest card. The blue cards are special cards you can play on your turn by putting them in the discard pile for its effect. When you play the treasure chest card you draw three cards then your turn is over. When you play the ruby card you put it in front of you like you would a treasure except the ruby card is worth two. Ruby cards can not be stolen. So if you had three regular treasure cards and a ruby and someone played a cannon against you that steals 5 you would give them the three regular treasures but do not have to give them the ruby. 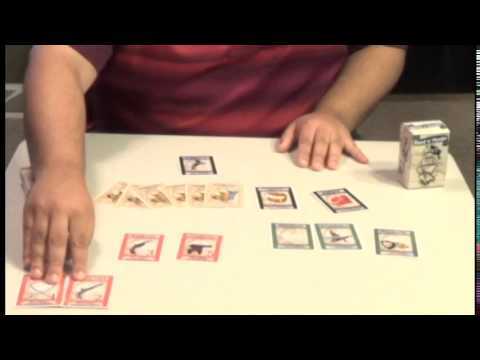 .If you use a swift to play two attack cards on the same player you must play both at once and the number of cards to be stolen would be added together and count as a single attack. This means the player can defend with only one green card against the total of the attack. For instance if you were attacking for a total of 8 with two cards and they played a block, they would give four and if the played a dodge they would give nothing. If you use a swift to attack two separate people they count as two separate attacks and must be blocked separately. When all the cards in the deck have been played shuffle the discard pile and flip it over and use it as the deck to continue play.